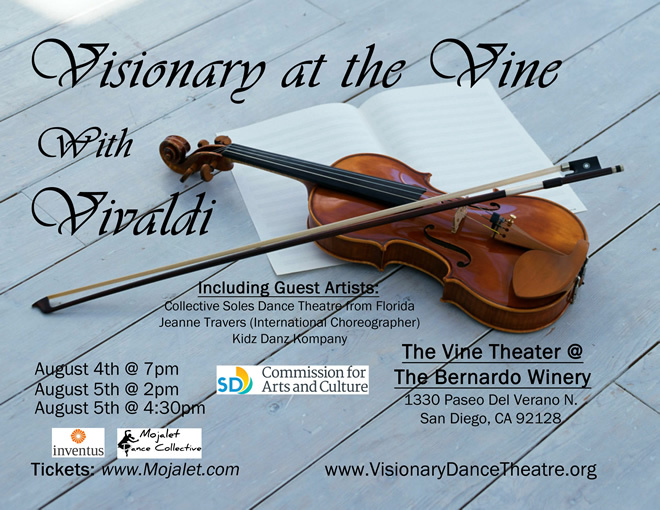 Visionary Dance Theatre presents “Visionary at the Vine with Vivaldi” as part of the Summer Series at the Vine Theater in The Bernardo Winery Village (13330 Paseo Del Verano Norte, San Diego, CA 92128) on Aug 4th @ 7pm and Aug 5th @ 2pm & 4:30pm. 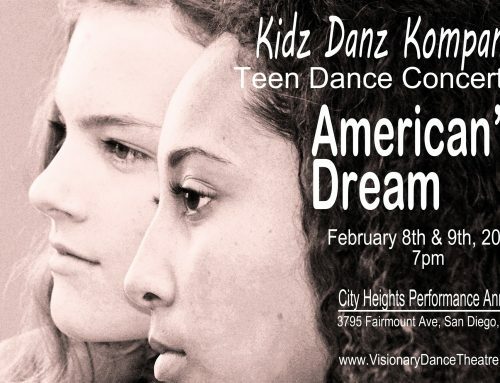 This marks the final stop in VDT’s spring dance concert tour. 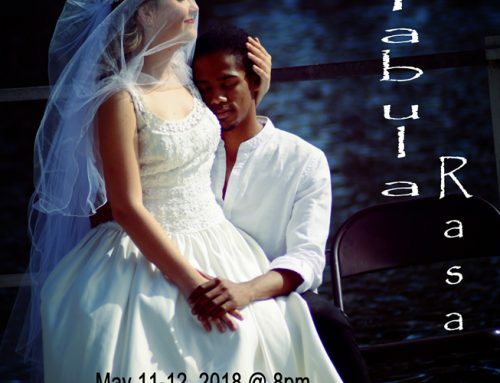 Artistic Director Spencer John Powell and Assistant Artistic Director Trixi Agiao collaborate to premiere a new work “With Vivaldi” at the Vine. 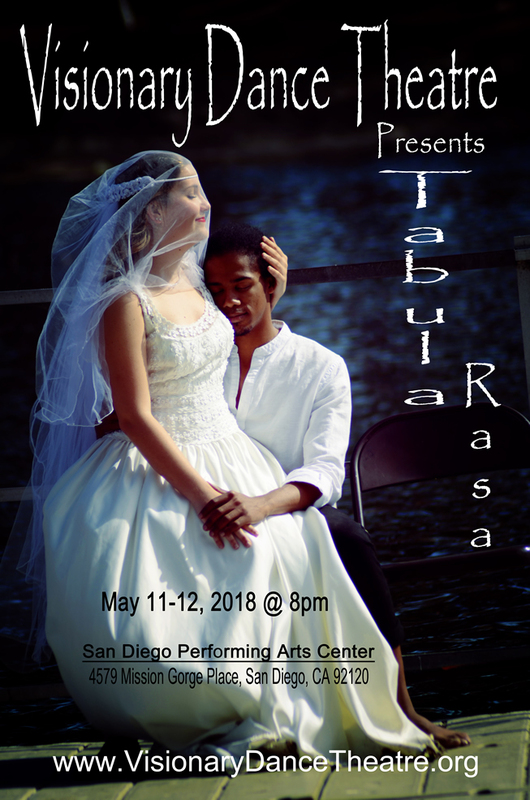 Also on stage will be artists-in-residence: choreographer Jeanne Travers (internationally-acclaimed choreographer and Professor of Dance at University of South Florida), Collective Soles Dance Company (from Tampa, Florida), and Kidz Danz Kompany (San Diego’s Premier Childrens Dance Company). 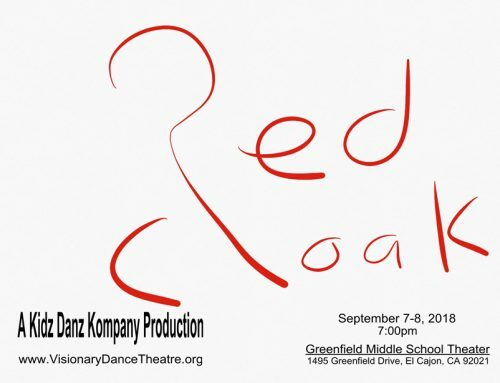 Join us for an evening filled with dance. General seating tickets are $16 each. 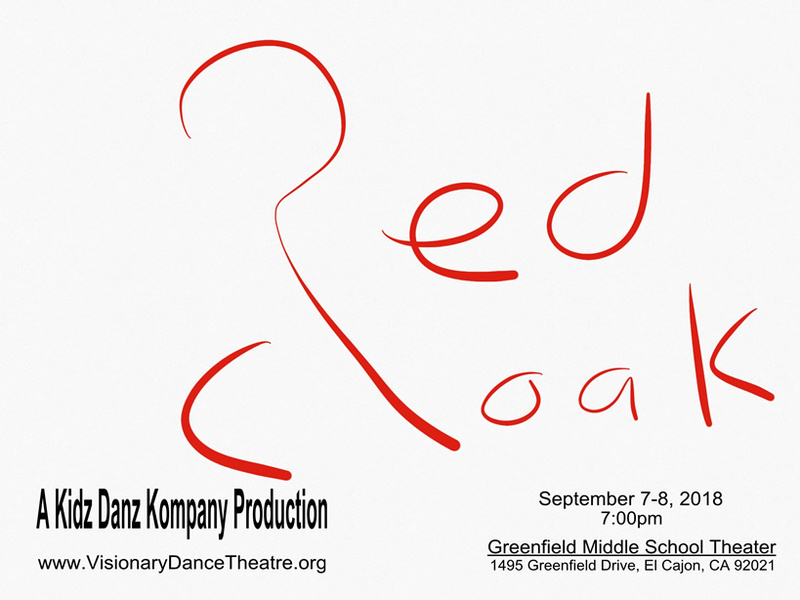 Student/Senior/Military tickets are $11 each. 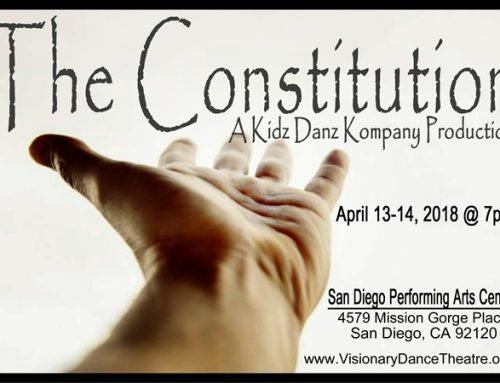 Kids under 10 tickets are $6 each. 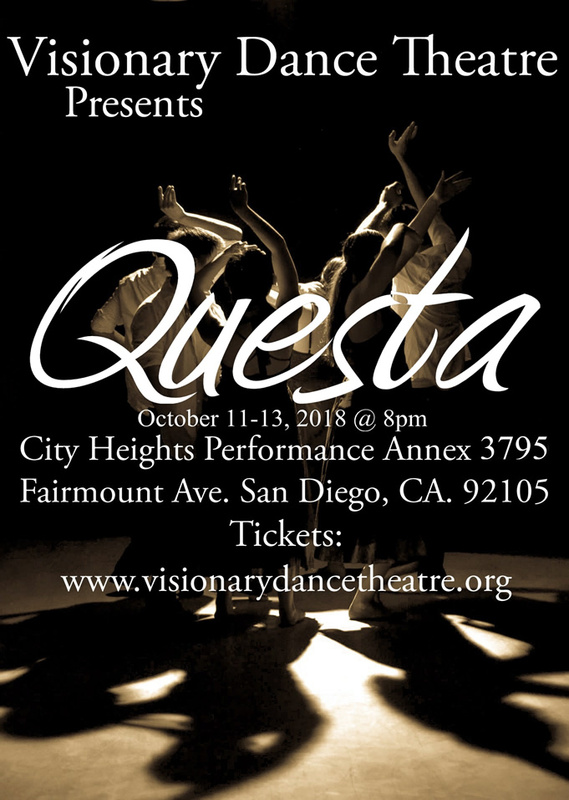 Please go to https://www.mojalet.com/visionary to purchase tickets. 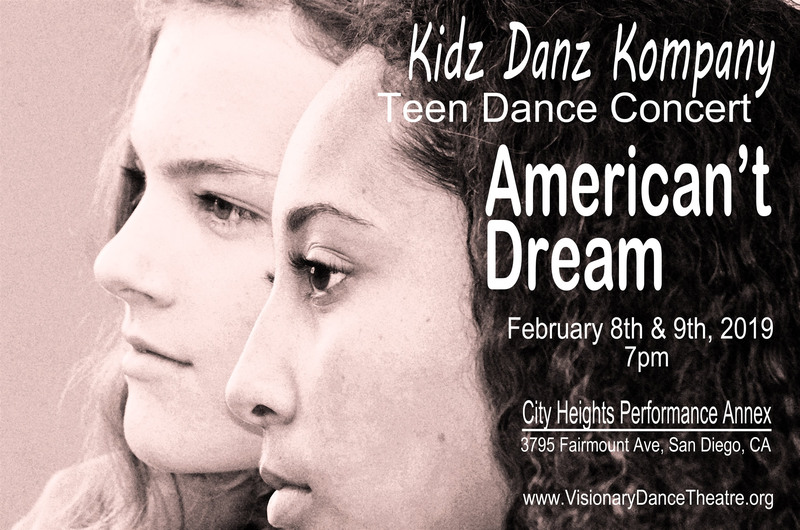 We strive to create dance theatre that is on the cutting edge of dance. Our pride is diversity that has no limits in its creative process. We tackle tough topics as well as general entertainment in the hope of opening minds and spirits to a world of all its possibilities. 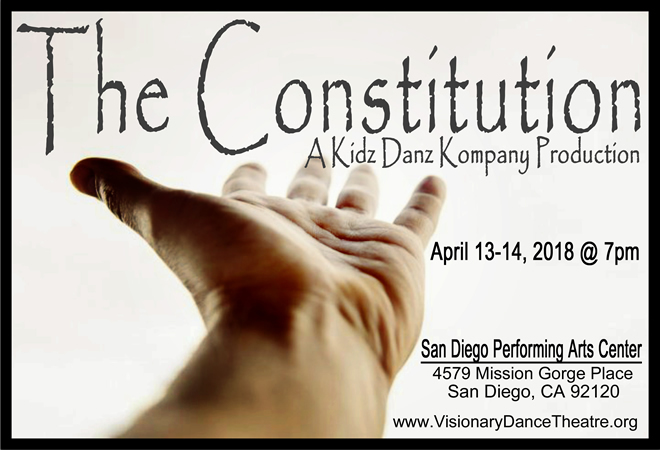 We always take pride and give respect to the process of creating dance theatre. 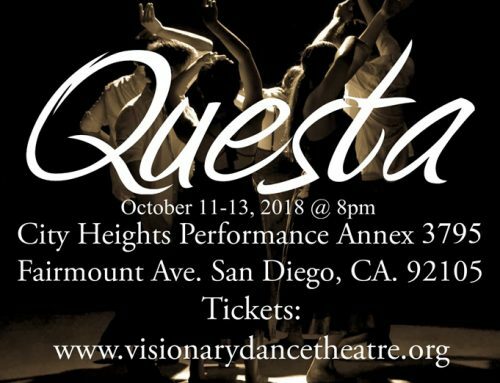 Visionary Dance Theatre is an open, team-playing environment with our eyes on the goal of team building through the arts. Respect for our team members and the arts community is always a vital part of our makeup.